Why should I use 3D laser scanning and get all that really detailed information, when we have been doing this for years with a few site measurements from a tape and/or laser measurer? The best way to explain this is to break down the way an existing job is done and then look at how 3D laser scanning avoids or eliminates some of the issues with the existing methodology. The old method goes something like this. Client approaches you for a quote on doing their job. The job is scoped and quoted. Send out drafters to measure the site/existing equipment. Find existing drawings and CAD data. Drafters redraw existing off site measurements, existing drawings and CAD data. Drafters go back to site to check what they have done and make the required changes to their models. Drafters add more detail to concepts and produce fabrication/construction drawings. Using 3D laser scanning looks like this. Send out 3D laser scanner to scan the site. So, on the surface it looks like we are only eliminating 2 steps, which really can’t be that big of a deal right? Well, that alone is. If you can eliminate any steps in a work flow it usually means you are doing something faster and (if you eliminate them for the right reasons) better. Translating to a happier client and more money for your business. To see the real difference and where the cost savings come in, let’s focus firstly on the old method in more detail, assign some numbers with relation to the design and drafting, because this is where you would normally use your scan data mostly. A firm of 10-20 people are doing the job. The firm has dedicated drafters that do all the site measuring. 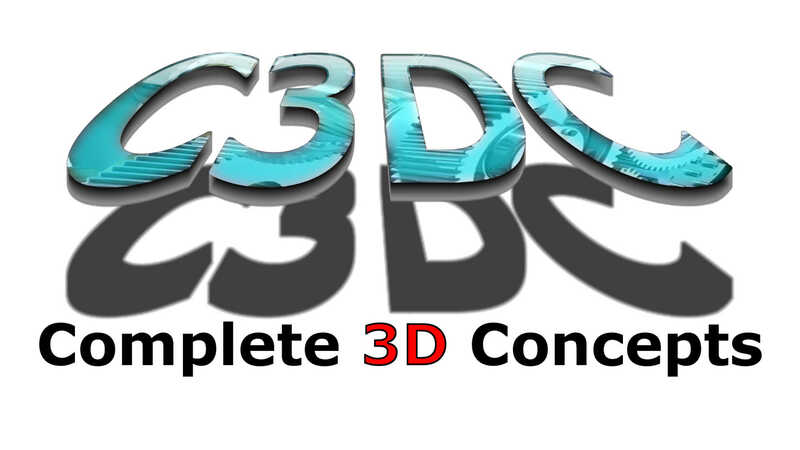 The firm does all their project concepts in 3D and produces 2D Drawings based off the 3D models. The old method goes like this. 1. Client approaches you for a quote on doing their job. Average sized job. Nothing you can’t handle. 2. The job is scoped and quoted. In your scope there is a requirement to measure their facility and some existing equipment. Your client states that they have existing CAD models you can use as required and they have a large existing drawing registry. 15 days for 2 drafters for design and drafting on the project. Total quoted time on design and drafting is 50 days at a cost to the client of $32,000. 3. Client awards the job. Now let’s have a look at using the 3D scanner. In your scope there is a requirement to measure their existing facility and some equipment. Your client states that they have existing CAD models you can use as required and they have a large existing drawing registry. You tell your client that you will have the facility scanned as you find this a better process to use for both your company and theirs. 4. Send out 3D laser scanner to scan the site. 2 days site scanning. Data to your office within a week. I can already hear people saying “Big deal, that’s only a saving of $1,520”. But let’s look a little closer at the numbers. Let’s assume your company does the same thing over and over and every project takes about the same amount of time as stated above. That’s a difference of 18 days that your drafters could be working on other jobs. When you look at it like that, this means that for every 2 jobs you would have done the old way, you are now getting in 3 (plus a bit). This is a boost of $20,480 to your company for the new job that you now have time to do and a saving to your client of $1,520. Or let’s assume you don’t think the saving of $1,520 is worth passing on to your clients for whatever reasons, then that is an additional $4,560 profit to you across the 3 jobs, as well as your extra $20,480 for a total of $25,040 (plus a bit) for every 100 days your drafters are working. Now imagine that you have a company that has 4 or 8 or 50 drafters. Imagine the difference if your charge out rate was $90 or $100 per hour. Imagine if the scan job only cost $5000. Imagine if the scanning of a site was saving you weeks or months of measure up and not just days. Scanning could mean the difference of having to put on an extra person to handle your work load and not. All of this is before you even consider the other potential benefits. I actually had one person say to me “It doesn’t make sense to do things that much faster for our clients because it is losing billable hours for my company”. Ok, but how much will you lose if your competitor adopts 3D scanning before you and can do your job faster, at a cheaper price and with better results? Or, how much will you lose if your competitors are using 3D scanning and getting more jobs done for the same annual expenditure of the client, who are your clients going to go with? The above scenario paints a picture of a perfect world where everything goes smoothly, the client doesn’t change their mind and where every detail is captured by the people doing the site measure ups in the first two attempts. I know laughable right? So let’s have a look at the other potential benefits of 3D scanning. You should be quoting at least 2 site visits for measure up or a long enough stay for your drafters on site so they can measure and model the existing information. 2 site visits, even if they are just across town, cost you or your client more money. If you are working in a remote area, no doubt your company charges more for that and if your drafter is there for an extended period this alone could cost enough that it makes the project unfeasible for your client or cost you the contract to someone who charges less for working in remote areas. 4. Send out drafters to measure the site/existing equipment. Find existing drawings and CAD data. Trip one. Most detail is captured in order to do the job. Old drawings are found and copied. Hand sketches are made and lots of photos are taken of information not in old drawings. Lots and lots of measurements taken to ensure existing drawings are correct. If you are really lucky you get an existing 3D model. If you are good at finding unicorns the model is even in the same format you use! This process alone can take days to work out what is and isn’t usable of the existing information. I have worked on sites that have had the same drafters there for 10+ years with well-maintained drafting records and CAD data and it can still take days to get the information you need for even relatively small jobs by the time you find drawing numbers, find the drawings in hard or soft copy and then discover it doesn’t have the information you need in that drawing. Then if the information isn’t preexisting, you have to go and measure it up manually anyway, wasting even more time. This process might be OK if you have allowed for it in your quotes, but costs for you or your client can start getting out of hand right here before you have even started. Then there is the site measure itself. What happens if there is restricted access to the area to be measured? What if there are safety procedures to get in and out of an area to be measured, shut downs required. More time and expense to your clients, all while not only not progressing the job, but potentially costing the client in shut down time. What if the things to be measured are 5 meters off the ground? EWPs required, spotters, more cost for equipment hire. The list of possible extra expenditure on site for measure ups is almost endless. then what happens if you don’t get enough information the first time and you have to go through all that again to get one or two measurements? 5. Drafters redraw existing information based off site measurements, existing drawings and CAD data. Even if the drafter went to site and did the measure up themselves, this process alone could take days or weeks depending on the site and project. If the drafter didn’t do the site measure up and they have little to no idea what the site looks like, then this process can often take twice as long because they need to interpret and confirm what is in other people’s sketches, notes and photos. Quite frequently someone needs to see what is just out of the frame of a photo that was taken on the first site visit, so someone needs to go check that detail. If you are lucky, you have a contact on site that can do this, although it wastes more time. Not only by the drafter waiting for the response, but by the person that has been interrupted to go check the detail in question. If you were lucky enough to get some existing CAD models but they weren’t in a format you use, they may not be usable at all. I have personally seen a computer take a couple of days to process a cad model from one format to another only to have it completely unusable. For us that was fine, as we had a spare computer to let run for a couple of days. Imagine if you didn’t and you had a drafter sitting around for 2 days only to discover they couldn’t use a model they had been given. Worse still, what if that meant they needed to then go back to site and manually measure the site as you were relying on and had quoted for the use of that model. Who pays for that? and will they be happy to pay for it? 6. Drafters go back to site to check what they have done and make the required changes to their models. Another site visit is time wasted travelling and another day or more not progressing the job. Then more time spent back in the office making necessary changes to the drawings/models. Depending on the site, the project and how good your team is at collecting information, this may need to be done multiple times. As stated above, there are a lot of scenarios where the costs could keep racking up with shut downs, time going through safety procedures and extra equipment etc. Using the drawings/models that have been made of the existing, you do your concepts. This is usually a pretty quick and easy process compared to capturing the existing site. If you have drawn everything from scratch, your model is all straight, perpendicular and parallel so everything looks great and fits perfectly. The client is shown the resulting drawings and models, loves your ideas and approves it for construction. Best case scenario. What happens if your client says, “We are not happy that we are cutting off access here, we need to move everything over a meter.”? Did the people that measured the site measure everything a meter further over? Does this mean more site visits? What happens if you do go through the whole process again of measuring and modelling everything a meter further over and that still doesn’t work? You have now done the job twice for no result. How happy is the client going to be with that? 9. Drafters add more detail to concepts and produce fabrication/construction drawings. At this stage models and drawings have fine details like holes, refine footing locations, bolt layouts, refine door and window locations, etc., etc., etc.. If you’re really lucky you have heaps of room to do everything you need and there is nowhere in your job that clearances are critical or tight. But who has ever worked on a job like that? All of this is done off things that were measured and modeled by hand, usually under the duress of tight time lines of the project, by people that have additional stresses and distractions in their lives that mean there is a huge margin for error. Then often things are modeled meters away from where they were measured. So what happens if something was drawn straight but in reality was a couple of degrees out? How much difference does that make when trying to line up holes and centre lines on site to the new thing being installed? These days with CNC this and laser guided that, things can be made and installed to millimeter and even sub-millimeter perfection. Even on huge things like mining equipment. This doesn’t mean they stay this way through their life cycle, but when they arrive to site and are installed, a lot of things can be as close to perfect as you can measure. And this is where the real headaches and cost can start racking up. What happens if the people that measured the site missed some important details, like some pipes that were running right through where you need to put a column to support your new building/roof? What happens if those pipes are carrying something that, if the supply is cut for even a short time, could stop the entire plant? Who pays to fix that mistake? Imagine you have done a large job based on hand measurements and remodeling of the existing site using a tape measure, and your equipment starts arriving to site, but nothing fits because some of the base measurements were taken or written down incorrectly meaning everything was out? Who pays for that? Delays as a result of poor existing detail can mean lengthy delays to projects and very costly modifications. But even short delays to drill some extra holes in a base plate can be insanely expensive when you have a 10 person team and a crane sitting around for a couple of hours waiting for the holes to be re-drilled. The result of all of all these things, at best, is usually that we see teams of people standing around scratching their head when things arrive to site and don’t fit the way they do in the drawings. With questions being asked like “do you want less/more space on this side or that one?” Because in reality what we have measured on site is rarely straight. The wall on the opposite side of the room is almost never parallel and things that are between them are almost never perpendicular or straight themselves. Even the most understanding clients in the world would eventually run out of patients. And no one has an unlimited budget to keep fixing errors like those mentioned above. The reality is, if we are totally honest with ourselves (you too marketing people) we have all seen examples of these things on a project somewhere in our careers and even all in one project from time to time. So how does 3D scanning fix any of this? Let’s have a look and try and address some of the issues raised above. You get a quote for laser scanning. You outline exactly what deliverable you need from the scan service provider and they supply you a quote. As a 3D scanning service provider it is embarrassing how many times i have heard “We have used it but had to many problems and aren’t really that interested in using it again.” As a person/business requesting 3D scanning services and usually paying a handsome sum for them, you shouldn’t be putting up with it! But i digress, that is a topic of another post. You will still need to allow about the same time for the new design and drafting of anything new going into the job (obviously). There should also be a small amount of time allowed for remodeling of any of the existing plant/equipment that HAS to be referenced in 2D drawings. This is because point clouds won’t show up in most 2D drawings done by 3D modelling programs (yet). This should NOT be thought of as having to remodel the whole plant and all of its equipment though. The reason for this is that the traditional way of doing jobs means we have to model it to see it in the models to make sure you don’t hit anything. By default that means this information will be shown in the 2D drawings. So people are used to seeing very detailed 2D drawings from 3D models. With a point cloud all the data is there for clash detection and clearances, but that doesn’t mean that you have to see every bit of that in the 2D drawings. In a lot of cases you could even just start modelling around the point cloud and not need to extract any information from it for 2D drawings at all. In most cases things are hidden when creating 2D drawings from 3D models for clarity. So if it doesn’t HAVE to be in the drawing, why waste time modelling it? I have seen things built and installed off no more information than what was sketched onto a flap of a stubby carton with a builders pencil. Trust me when i say, you don’t need every minute detail in every drawing to get it built or installed. Of course i am not advocating leaving out critical or important information, but that is what you need to allow for in your remodeling time. 4. Send out 3D laser scanner to scan the site. The most immediate advantage to using a scanner is that there is no time spent wasted looking for old information that is likely out of date. The next noticeable advantage is that with scanning, every single detail is captured first time every time. Not only does this mean you get a complete data set of where you want to be working, but often times you end up with all the surrounding information as well. So there is no more wondering where a pipe goes to just out of this photo or what does the join look like on the end of that member? Did we get a picture from another angle? All the information is there in a 3D model. With the way the scanners work and the range they can get data from, often times this means that all the information can be gathered from existing ground and platform levels. Meaning no need for any extra equipment or personnel, i.e. no extra costs for the measure up. Often times things can be scanned from outside safety barriers and while equipment is still running. Meaning less chance of down time for your client’s facility. The scanners can be mounted on a range of equipment and attachments for scanning in hazardous areas and operated remotely so the no one has to go into the area at all. Safer measure up. There are extension poles available for scanning in ceiling spaces and above layers of services. Again, no working at heights or squeezing into tight/dangerous spaces, just send the scanner in. Even on sites that do everything in CAD, there is rarely a site that has EVERYTHING in 3D. Even if they do, with so many drafting packages available, it is rare that they are working in the same one as you. Modifications are made by maintenance on the fly and things are often modified as they are being put in. (Refer to the old method of doing things.) All of this means that existing data cannot be relied on for the most part. But with 3D scanning none of this is an issue. When you get your scan data you have an exact model of what the site looks like and where everything is (at the time of scanning). As mentioned above this part of the process doesn’t change too much. There are some important differences to consider though. With all the information you get in a scan, it is possible to model your concepts much closer to the reality of how they will end up in the first round of design. Because you can see everything that is in and around where you are modelling, it is less likely that smaller details will be over looked. As a result your design process is typically a lot faster and far more accurate. The time comes to pitch your concepts to the client and, as above, they want everything moved over a meter. Not only will this not be a problem, but if the model has been done correctly, it is a change that could potentially be made in front of the client and the results reviewed immediately. How much time could this save if you refined your concept on the fly with your client in one meeting? How much better does this make you look to your client? 7. Drafters add more detail to concepts and produce fabrication/construction drawings. When adding the detail you can be confident that the dimensions you are working to are far more accurate. This means when things get made to the drawings, they will fit properly when they arrive to site. When all your new stuff starts arriving to site, you know it is going to fit and you know there will be far less chance of something being overlooked. There is little to no chance of important services running right through where you need to put something if your design team are on the ball. The biggest advantage to 3D scanning is knowing that what you are seeing and working to in your 3D models is far more accurate than any amount of site measuring would ever be and is done in a matter of minutes. Having done jobs using both methods I can say that there are so many advantages to using scan data that it is hard to put across in words. Even in this long article, there are things I haven’t even mentioned like no need to pay travel expenses for your staff, reduced ware and tare on your company vehicles because of reduce site visits, less money on fuel (that alone should be a big enough incentive these days!) Your staff spending more time doing what they know, are good at and are paid to do. Less site visits for your project managers because they can get the information the need from the point cloud. Reduced anxiety from the people on site because there aren’t teams of people from a consulting company crawling around the place every day looking to do them out of a job. No dirty measuring equipment in/over clean/sterile equipment on site. And I am sure there are things I have forgotten to mention and advantages that I am underselling. The speed and accuracy that jobs can be done at with scan data has to be experienced to be truly understood. At the end of the day the simple fact of the matter is this, for a lot of jobs you simply don’t NEED this level of detail. But the advantages to having this level of detail are so great that the risk of not having it on most jobs is simply not worth it. Especially if your competitors are already using it. If you have any questions or comments I am always happy to answer them. Feel free to ask below or get in touch, I love to talk (so i am told). For more information on 3D scanning services we provide have a look at our website and don’t forget to check the FAQ page. Also follow our Complete 3D Concepts LinkedIn page to keep up to date with what’s happening. Previous PostPrevious What is the “Best” drafting program to use? Next PostNext 3D Laser Scanning – What you should be expecting from your provider.